Waterbird count in Larnaca this morning – over 700 Northern Shoveler on the Sewage Works Pools together with more than three hundred each of Common Teal and Mallard, 130 Little Grebe and 75 Coot. There were 33 Greater Flamingo and a single Great Cormorant as well as four Northern Pintail, a lone Garganey and a female Red-crested Pochard. Five Grey Heron and three Little Egret were roosting around the edge and several Common Ringed Plover, Common Redshank, a Dunlin and some Little Stint were feeding in the mud in the distance. There were still a few Barn Swallow flying over but the nearly sixty Black-headed Gull were another indication that summer has gone. No waders to be found today on Spiro’s Beach but an adult Baltic (Lesser Black-backed fuscus) Gull was there together with more than sixty Yellow-legged Gull. Off shore were two Sandwich Tern. There was a little water on the north east edge of the main Salt Lake and there I found a Grey Wagtail, two Common Snipe and a Jack Snipe. I decided to check out Akhna and see if the Black Stork seen there earlier in the week were still around. No sign of them unfortunately but it was good to see an Osprey fishing successfully as I arrived. Walking around the shallow end I found at least seventy Spur-winged Lapwing, six Little Egret, seven Grey Heron and at least ten Cattle Egret. Waders included Curlew Sandpiper, Common Snipe, Greenshank, Common Redshank, Spotted Redshank, Ruff, Little Stint, Common and Little Ringed Plover and Wood Sandpiper. 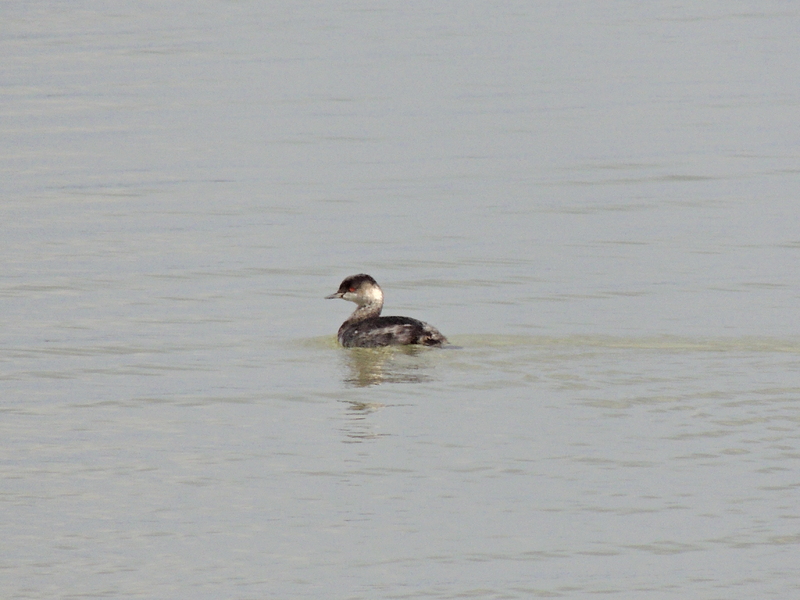 A Black-necked Grebe was keeping company with a few of the resident Little Grebe.